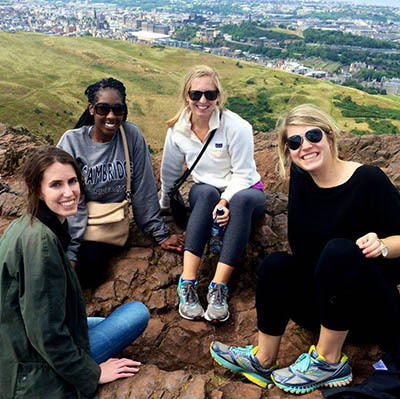 Cumberland School of Law offers opportunities for U.S. law students to study abroad. Cumberland School of Law offers opportunities for U.S. law students to study abroad. Participating U.S. students gain international perspective by studying and living in a legal system and culture different than their own. In addition, there are other international degree opportunities. A five week summer study-abroad program in Cambridge, England, gives J.D. students the opportunity for comparative study of U.S., British, and European Union law, in a historic and attractive setting at Sidney Sussex College, Cambridge. Under a cooperative arrangement between Cumberland School of Law and The Norwich Law School at the University of East Anglia in Norwich, England, British law students have the opportunity to study in the U.S., and Cumberland School of Law graduates have the opportunity to study in the U.K. Participating Norwich LL.B students spend a year at Cumberland School of Law after their second year of legal studies at Norwich. Two Cumberland J.D. graduates each year are awarded full-tuition scholarships for studies toward an LL.M degree at Norwich. Under a cooperative arrangement between Samford and NALSAR University of Law in Hyderabad, India, Indian students selected by NALSAR and approved by Samford have the opportunity to study in the U.S., and Samford students selected by Samford and approved by NALSAR have the opportunity to spend a semester of study in India.